Also called the scavenger vulture, the Egyptian vulture is found from southwestern Europe and northern Africa to southern Asia. 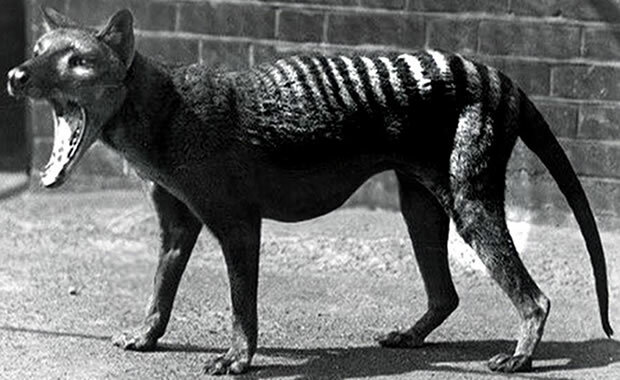 It is the only living species in its genus Neophron. It has an unmistakable appearance, possessing white plumage with some black feathers in the wings and tail and a yellow to orange face (in which the coloration shifts during breeding seasons). Due to its habits of hanging around dirty carcasses, its plumage often appears to be brown in color. The face is featherless and the bill is large and narrow with a curved tip. Males and females are similar in appearance but females are slightly larger than males. Adults can reach up to 27.6 inches in length (with a wingspan of 5.6 feet) and can weigh up to 4.8 lbs. The Egyptian vulture is usually found nesting on rock ledges. They prefer to forage alone or with their mate, but some Egyptian vultures have been observed in groups. It can also nest in trees or old buildings when more favorable locations are not available. Egyptian vultures are scavengers and feed mainly on carrion. But they are also known to prey on small mammals and eggs. This species is one of few bird species that uses tools. It uses small rocks to crack thick-shelled ostrich eggs by lifting stones with its beak and then hitting the egg in a strong swing of head and neck. Males and females are monogamous and mate for life. Both male and female help with building the nest, and the female lays two eggs between March and April. The eggs hatch 39 to 45 days later. The estimated world population of Egyptian vultures is between 10,000 and 100,000 individuals, and the number is said to be declining due to poison being entered into the food chain within its range, lead poisoning from gun shots, electrocution by power lines, and disease. This species occurs in a number of protected areas and is also being monitored. Copyright Notice: This article is licensed under the GNU Free Documentation License. It uses material from the Wikipedia article "Egyptian vulture". Glenn, C. R. 2006. 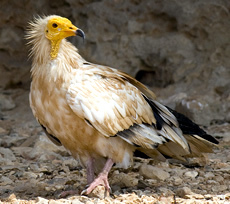 "Earth's Endangered Creatures - Egyptian Vulture Facts" (Online). Accessed 4/21/2019 at http://earthsendangered.com/profile.asp?sp=3581&ID=6. Need more Egyptian Vulture facts?